Main Currents in Western Environmental Thought provides an inclusive and balanced survey of the major issues debated by Western environmentalists over the last three decades. Peter Hay examines issues in philosophy, religion, politics, and economics as presented or criticized by environmentalists. 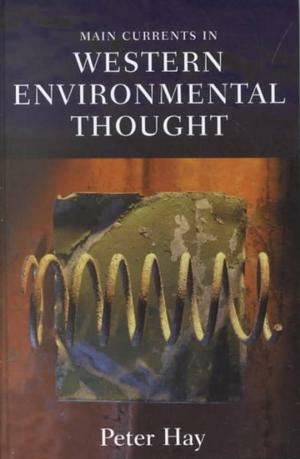 Topics covered include the roots of environmental philosophy; the development of ecophilosophy, deep ecology, and ecofeminism; how religion relates to environmental values; environmentalists’ writings on science and epistemology; animal liberation; the role of place; the economic dimensions of environmental thought; environmental writing in various political traditions; and “green” writers’ critiques of political movements. The work draws from the disciplines of philosophy, political science, psychology, sociology, and cultural studies. — Indiana University Press website.